Welcome to Baywest Mitsubishi. Save Big on New and Used Mitsubishi at Baywest Mitsubishi. Browse our Baywest Mitsubishi New Vehicle Specials and get the best Owen Sound Mitsubishi deal in Ontario. Already own a vehicle? 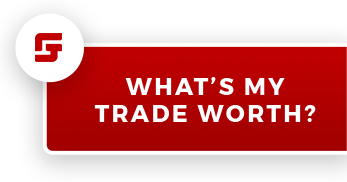 Appraise the value of your current ride as a trade-in. View our new 2018 Baywest Mitsubishi models in our Owen Sound Showroom.We will also be happy to help you uncover the new or used Mitsubishi that fits both your budget and lifestyle in Ontario. Visit our pre-owned vehicle lot in Owen Sound and select from one of the largest pre-owned inventories in the Central Ontario are. Come in and test drive a Mitsubishi in Owen Sound. Contact your local Owen Sound dealership in Ontario: Baywest Mitsubishi is here to answer all your motoring and vehicle maintenance questions. Browse our pre-owned offers and specials, in Owen Sound, Ontario. Look no further for a quality Ontario used car, truck and SUV. Learn more about the Baywest Mitsubishi Certified Pre-owned Process (CPO) in Ontario and across Owen Sound. Purchase a pre-owned Certified Pre-Owned Mitsubishi Vehicle that looks, feels and drives as-new. We are just East of Owen Sound in Ontario. Schedule your next Ontario Mitsubishi car service. Meet the excellent Baywest Mitsubishi specialists that take care of all your Ontario Mitsubishi needs. Baywest Mitsubishi is an Owen Sound Mitsubishi dealer, specializing in new Mitsubishi vehicle sales, Mitsubishi service, Mitsubishi parts and accessories. Our Mitsubishi store is located at 202414 Sunset Strip, Owen Sound, ON. N4K 6K6. Offering Baywest Mitsubishi sales, Baywest Mitsubishi service and Baywest Mitsubishi parts & accessories. We sell Owen Sound the best selection of used cars, Chatsworth used cars, Durham used cars, Meaford used cars, Collingwood used cars, Wasaga Beach used cars, Markdale used cars and Grey County used cars. You will find all new Mitsubishi vehicles, backed by the 10 year Mitsubishi Warranty. Our Mitsubishis are built better and backed better. We also offer our Central Ontario clients great Mitsubishi rebates. Baywest Mitsubishi’s credit experts can help you with all your financing needs. If you simply want to shop with confidence knowing that you are pre-approved, or to establish a price or payment range you should be considering, allow Baywest Mitsubishi’s credit experts to give you that peace of mind. If you have bad credit, no credit or you have been turned down previously, our credit re-establishment experts have the tools, contacts and expertise to help you re-build your credit and get back on the road again. Baywest Mitsubishi respects your privacy and we assure you that your personal information and circumstance will be treated with the utmost respect. Our Mitsubishi Lancers, and our Outlanders are a top safety pick, according to the Insurance Institute for Highway Safety. Baywest Mitsubishi, formerly known as Grey Motors Mitsubishi carries a great selection of premium used Mitsubishi vehicles as well as used cars of all makes and models. If you live in Central Ontario, especially in the areas of Chatsworth, Durham, Meaford, Collingwood, Wasaga Beach, Markdale, Grey County, or Owen Sound, we would love to be your new car dealer or used car dealer and we invite you to check out our featured pre-owned specials in our virtual showroom 24/7 Baywest Mitsubishi, formerly Grey Motors Mitsubishi is connected to Baywest Toyota and Baywest Nissan. Being connected to our sister stores next door, together with our own used car resources and theirs we have access to a wide variety of vehicles. Even if we don’t have the used vehicle you want for your next car, we can get it for you. There is a huge selection of vehicles for you to choose from in your Owen Sound Mitsubishi dealership. Use our following forms to evaluate your current vehicle and find the car you want. We also offer to our Clients the Mitsubishi Diamond Care Extended Warranty and the Mitsubishi Roadside Assistance. Why not browsing our New Vehicle Specials and our Pre-Owned Specials? Our new Baywest Mitsubishi Certified Pre-owned Program will likely provide you with an ex-lease Mitsubishi sedan, compact car or SUV in a like-new condition that has been approved by our Mitsubishi CPO specialists. All our CPO Mitsubishis are 160-point inspected and most are covered by a 10 year / 160,000 km Powertrain Limited Warranty from the original in-service date. The Baywest Mitsubishi Parts Department has all your Mitsubishi Parts in Port Elgin, Ontario. We can source any item you require and can help you customize your Mitsubishi, according to your needs. We can offer you new brakes discs and pads, a new muffler or a brand new set of tires. We have tires for sale in Owen Sound, including all-season tires, winter tires, performance tires, low profile tires, or cheap summer or winter tires. All the Baywest Mitsubishi parts are readily available in Ontario and you can have them installed, with confidence. Our Mitsubishi specialists have selected the following Baywest Mitsubishi Parts Specials for you.